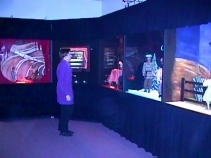 The Bixby Marionette Exhibit opened in October 1998, using materials from longtime Saline resident Meredith Bixby's collection. 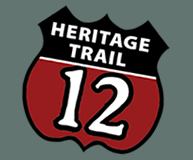 The Bixby family lived in the Saline area for more than 100 years. Meredith Bixby died on September 11, 2002 at the age of 93. The Exhibit is free and open Monday through Friday, 9:00am-5:00pm, except holidays. Special arrangements can be made for a docent for a group tour by calling 734-429-0807. Mr. Bixby's "Meredith Marionettes Touring Company" toured the Midwest and south for more than 40 years, performing in schools, theaters, and community centers. His handcrafted puppets have appeared in 20,000 performances.